Dr. Walsh is an assistant professor of ophthalmology at the Keck School of Medicine of the University of Southern California and a member of the medical retina service at the Doheny Eye Institute. He has an engineering degree from Stanford University and an MD from the Columbia College of Physicians and Surgeons in New York City. After a medical internship on the Osler Service at Johns Hopkins Hospital, Dr. Walsh completed his ophthalmology residency at the Wilmer Eye Institute. 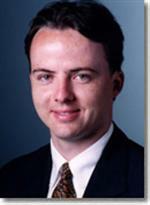 He came to the Doheny Eye Institute as a Retina Fellow in 2002 and subsequently joined the faculty. diagnostic medical imaging, telemedicine and surgical instrument design.